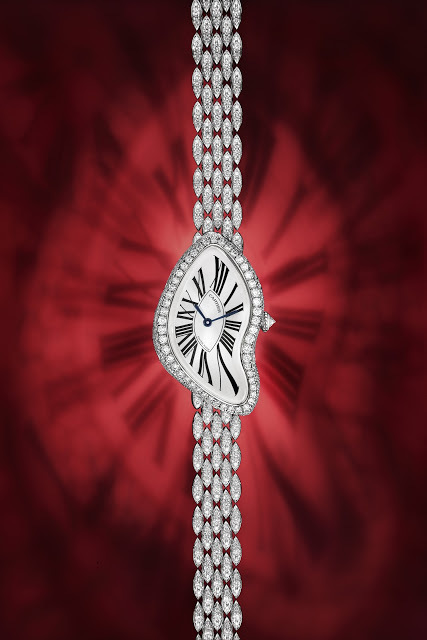 Next year at SIHH, Cartier will unveil its iconic Crash with a tear drop-link bracelet. Previously only available with a strap, the new Crash will be available in two guises. 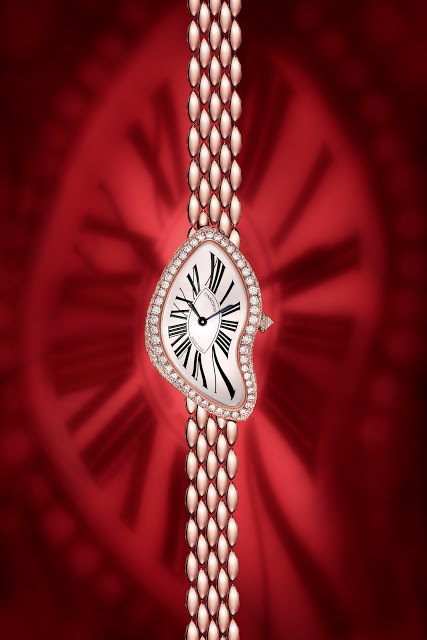 Either with a diamond set bezel (150 diamonds totalling 2.15 carats), or with diamonds on the bezel as well as bracelet (471 diamonds totalling 4.27 carats). Both versions will be available in white or pink gold. 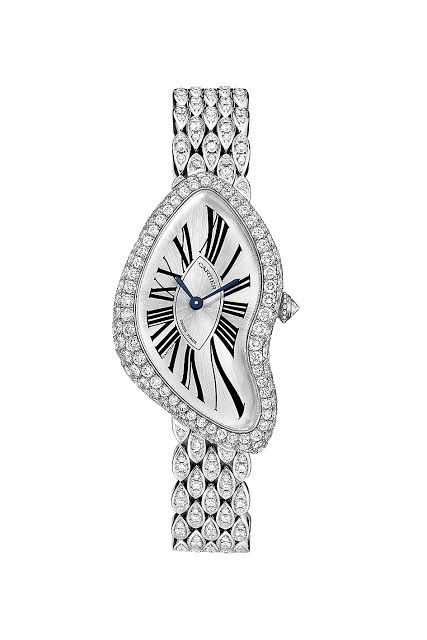 In each metal, the diamond set bezel Crash is limited to 267 pieces and the fully set Crash is limited to 67 pieces. 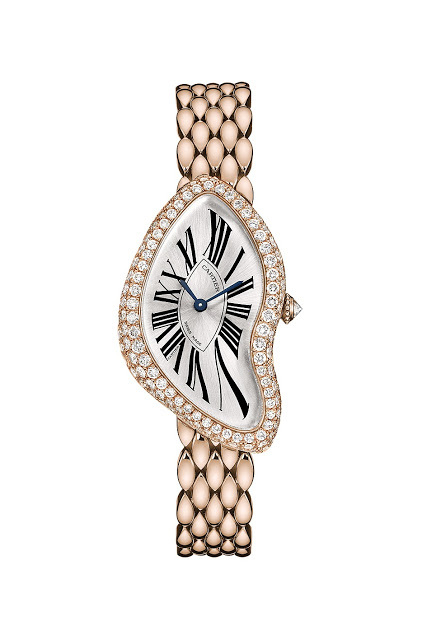 The case measures 38.45 mm by 25.5 mm, and inside is a small, manual-wind calibre, likely from Frederic Piguet. 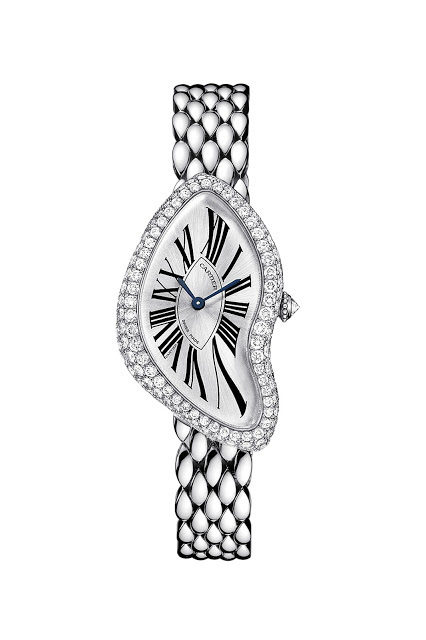 As for the origins of the Crash, the watch was first presented in 1967 by Cartier London (back then, each of the Cartier offices in London, Paris and New York were all separate entities).